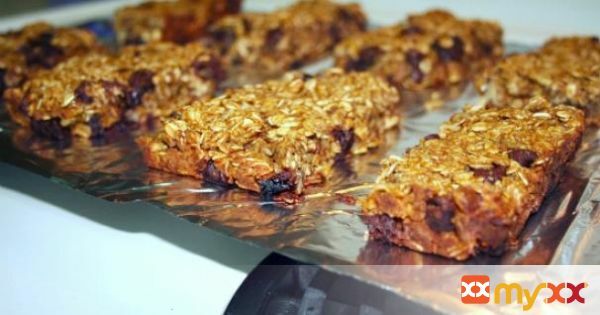 Check out this healthy recipe for pumpkin granola bars. Easy to customize to your favorite tastes with mix-ins and spices! 1. Preheat oven to 350 degrees fahrenheit and grease a 8x8 pan. 2. In a large bowl combine the oats, spices and salt. Set aside. 3. In a separate bowl mix together the brown sugar, pumpkin puree, peanut butter, applesauce, honey and vanilla until smooth. 4. Pour the oat mix (and any additional mix-ins) into the wet mix and fold to evenly coat with the wet mix. 5. Press the mix into an even layer in the pan, and bake 30-40 minutes or until golden brown. Do not over bake them! 6. Allow to cool then flip out of the pan and cut into desired size. 7. Store wrapped in plastic wrap and ziplock bags for about 1 week.